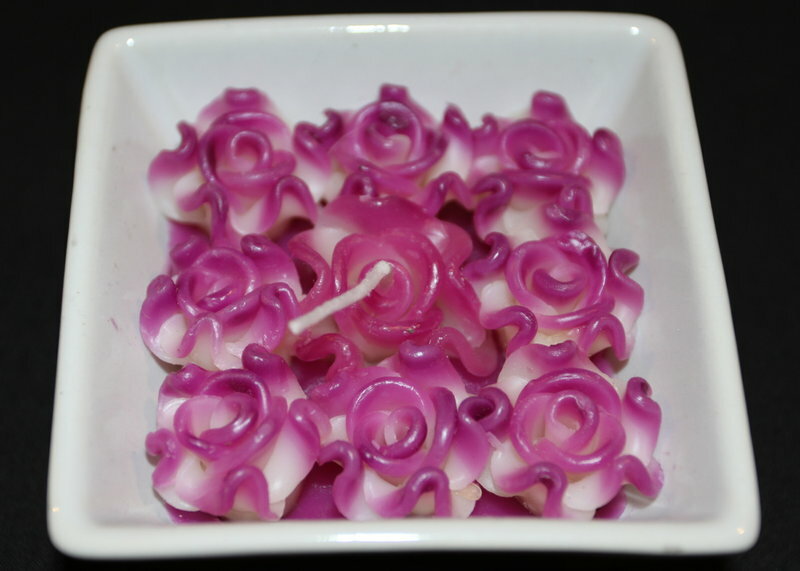 This is a delightful candle made up of numerous tiny purple roses. It sits in a square white ceramic dish (8cm sides). All candles are unscented.